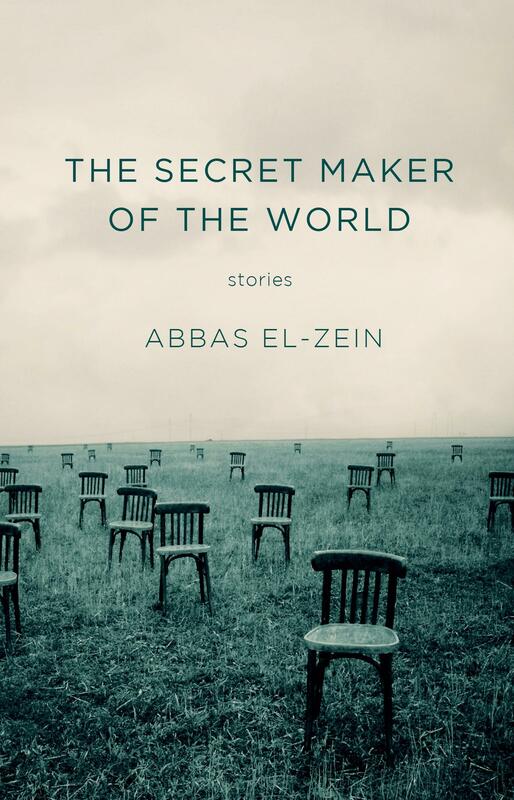 ‘He likes to play games.’ That sentence opens ‘Fields of Vision’, the first story in this new collection from Sydney writer Abbas El-Zein. It leads the reader to anticipate an offering of some trickery: my first assumption was formal diversity. Instead, El-Zein has constructed a set of realist, subtly-moulded short stories which play games with geography and morality. The changing settings – Beirut, Baghdad, the Yellow River, a jungle in Indonesia – offer a range of backdrops to stories that all hinge on a single axis: the nature and notion of justice. El-Zein will be known to readers for his 2009 memoir, Leave to Remain, which was awarded a NSW Premier’s prize; his story of growing up in Beirut and the exile that followed presage why justice interests him. He has also written a novel and numerous pieces of short fiction over the years; the stories in this collection date back to at least 1999. 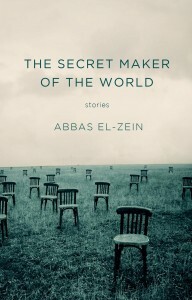 Short fiction can be a cautious trade, and El-Zein has made of this slender collection a careful assemblage that has a sense of the collage about it. These places are images, these minds have strong outlines; the overwhelming sense is the visual. The fine incisions around each story intersect in interesting and unexpected ways. Some end inconclusively; these are for the most part glimpses of realities rather than straight-up storytelling. This could be a deliberate strategy on El-Zein’s part, as the purpose of each story seems to be discursive rather than narrative. Whether they are justifying their trade in corpses, aiming rifles from rooftops or philosophising on deafness and disability, El-Zein’s characters have an intense self-awareness that can occasionally be overbearing or even didactic, but that allows them to offer insights into human ethics that can contradict or complement his own. In many of these stories justice has broken down because of contested land. ‘Respect’, a powerful and bloody tale of mud and death and interdependence, weaves the global and the local. A monologue by an Afghan construction worker labouring in ‘a shithole’ in the Indonesian jungle for an Australian employer, it is anxious and intensely pitched. Both men are dislocated from their land and as a result the thread of justice that connects them is terribly fragile. The closest we get to the axis of El-Zein’s thinking is in the story ‘Natural Justice,’ which portrays a frank discussion of moral responsibility; one man, describing himself as ‘a man without justice,’ argues that justice is a fiction; another engages in some deftly superstitious sociopathy, offering revenge as part of a gleeful balancing act which guesses at universal order. That this discourse takes place on an aeroplane reinforces the building sense that injustice and displacement are intimately connected. ‘Natural Justice,’ like the better stories in the collection, is told in first person by a male narrator. The sole female narrator writes in the second person, obsessed by a male lover who is lost to her by the moral chaos of war. Her monologue is impassioned and her disappointment affecting, but given the thematic explorations in this collection I felt a little let down by the centrality of a male figure to every one of these stories. At times, as well, the characterisation can be thin in the rush to reach a narrative judgement, as in the rather clumsy depiction of a corrupt official in ‘Red Carpet’. Those frustrations aside, these are fine studies of circumstantial morality. Each story opens a case of unanswerable questions which are presented, vivisected, and often unresolved. Although the collapse of geographical and moral order feels intensely contemporary, one of the strongest stories here is an historical one. ‘Bird’s Eye’ is based on the few facts known about the exiled geographer Yaqut Al Hamaoui, who fled the city of Merv when it was destroyed by the Mongols in the 13th Century. He describes himself as ‘a man without hope’ – an echo of the ‘man without justice’ – but both men lie. 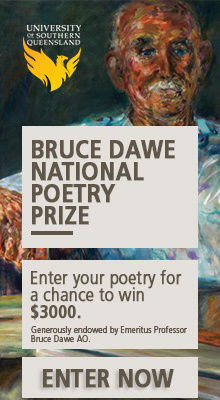 For what greater act of hope is there than to seek asylum in a strange land? ‘Bird’s Eye’ reminds us that the exile is also the survivor. At the last moment Al Hamaoui doubles this hope by taking with him a young apprentice. ‘What’s geography?’ asks the boy, as they travel away from the city. Al Hamaoui answers with words that could just as easily describe El-Zein’s approach to the short story: ‘It’s an image of the world in your head.’ These images of justice are unsettling enough to linger.